The 40th anniversary of the Bank of America Chicago Marathon generated a record- setting $338 million in estimated business impact to the city of Chicago, with the 2017 race delivering a $56 million increase from the previous year. 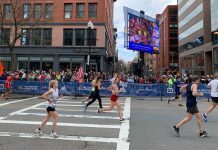 This is the largest amount ever generated by the marathon and marks the first time the marathon’s economic impact has exceeded $300 million. It’s the fifth consecutive year this world-class event provided more than a quarter of a billion dollars to the Chicago economy. A major factor in the boost of economic activity was a strong increase in the number of international participants, which resulted in heavier spending and longer stays in the city compared to previous years. Last year’s Bank of America Chicago Marathon drew 45,273 participants to the Windy City. 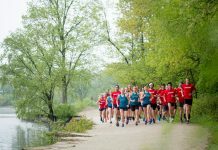 International runners made up 23 percent of the field, with the largest representation coming from Mexico, Canada, China, Brazil and the United Kingdom respectfully. 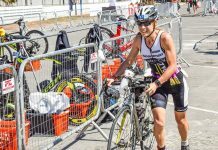 The race saw a nearly 40 percent rise in total athletes from outside the United States from the year before. The latest economic impact study reported today found that the 2017 event directly contributed more than $137 million to the main sectors of the tourism industry, a nearly 20 percent increase from 2016, in addition to another $200 million in indirect activity. This equates to 2,264 jobs and $113 million worth of wages and salary income. 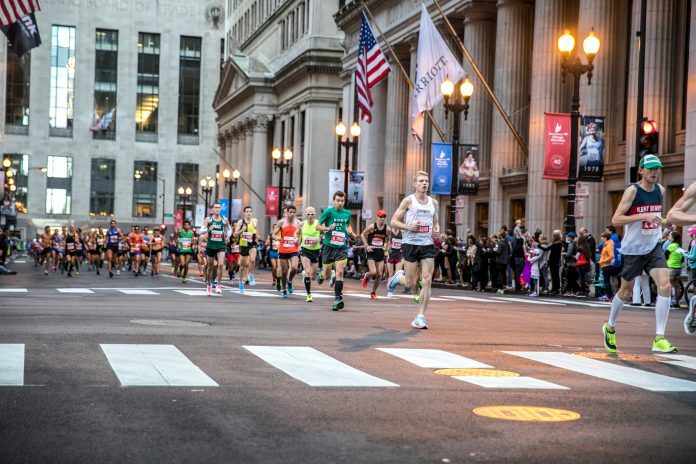 As the steward of this legendary event, Bank of America recognizes the role the Chicago Marathon plays in boosting the local economy and elevating the city as a leading tourist destination. The independent study is conducted by University of Illinois at Urbana-Champaign’s Regional Economics Applications Laboratory. Study authors used the Chicago Region Econometric Input- Output Model to estimate the direct and indirect economic impact the marathon has on the local economy.